Gothic-Renaissance castle, which was built by King of Hungary Louis I in the 70's of the 14th century, was originally a hunting lodge and a villa of Hungarian kings. It was constructed in the Gothic style to resemble Italian manor houses. 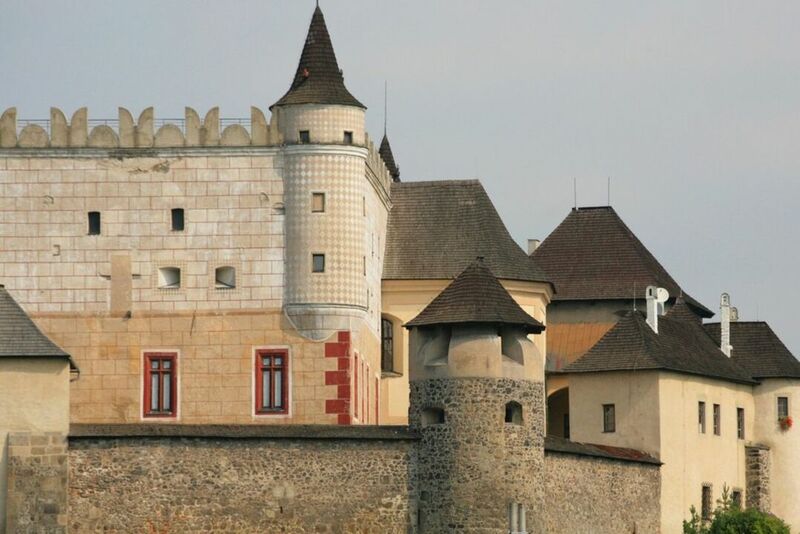 In the 16th century, the castle's purpose changed and it was made over into a defensive stronghold. Fortifications, an entrance gate and two storeys were added to it, with a permanent garrison stationed at the castle. In the 18th century, the castle underwent its latest major reconstruction which lent it a Baroque appearance. The coffered ceiling in the Royal Hall, which features 78 portraits of Roman and German emperors, has been preserved up to the present day.